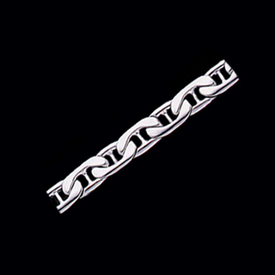 Platinum Figure 8 Style 7.5mm Wide Chain. Price shown is for the 8.5 inch bracelet weighing approx.. 53 grams. Platinum chain is available in your choice of length including bracelet. Gorgeous Platinum Designer Style Chain available in you choice of length. Price shown is for the 8 inch long chain, 5.5mm wide 33grams. Email for additional pricing on your length choice. 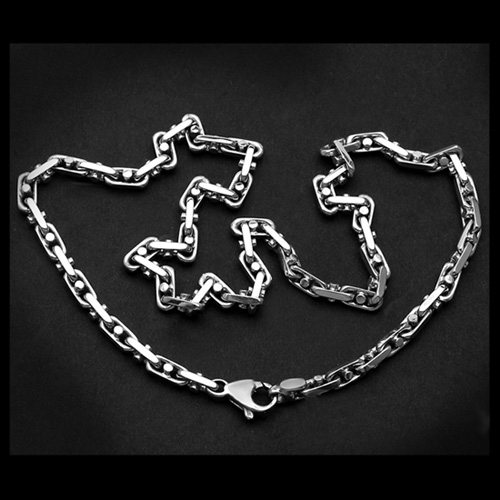 Incredible Platinum Link Chain. 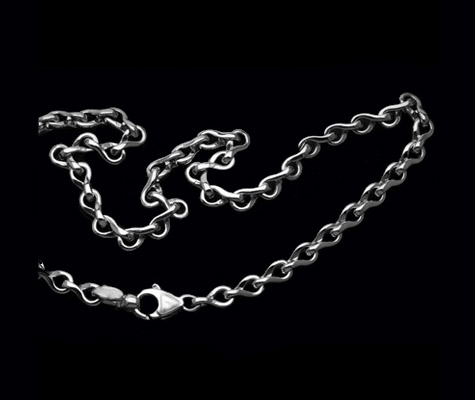 Chain measures 5.5mm wide and is available in any custom length. Price shown is for the 18" length approx. 51grams. We have a HUGE selection of Gorgeous Platinum chains. Additional widths also available. Add a touch of sophistication to your everyday look with a simple yet stylish platinum chain. Platinum chains are easy to style and match well with any look you can imagine. Aside from this, it’s also the type of jewelry that both men and women can appreciate. Platinum is considered the most precious of all metals because of its luster and malleability. This is the reason many jewelers choose platinum to work with. Its luster can enhance any gemstone, its malleability can be formed to any shape be it a ring, a bracelet, or of course, a necklace. Platinum is also a symbol of exclusivity and determination. Couples wear platinum rings to symbolize the endurance of their love. Stylish women wear platinum to exude the aura of exceptionality. It’s the ultimate accessory if you want to look strong and stand out from the crowd. Proclaim your style and edginess with a stylish platinum chain necklace from Gracious Rose. Opt for neutral colors – Jewelry in neutral colors, like black and silver, are easier to style. Less design – If you’re a man who’s new to jewelry then take baby steps and choose jewelry that has a more basic design. Goes well with your clothes – Find jewelry that will fit right in with your existing wardrobe. Purpose – Buying jewelry is an investment. Choose a piece of jewelry that has a purpose in your life. Platinum Modern Mariner – This modern version of the Mariner bracelet measures 10.5mm wide and weighs 68.1 grams for the 8.75" length and is perfect for any occasion. Handsome Platinum Link Chain – This heavy jewelry exudes masculinity with its 87.6 gram weight. 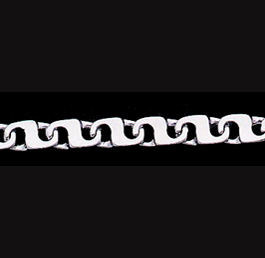 Platinum Mako Chain – Gorgeous intricate design, perfect for glamorous events. 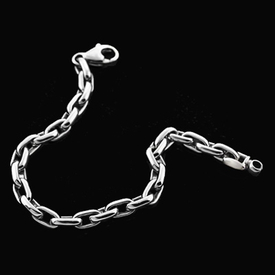 Bold Platinum Curb Link – This platinum chain link is guaranteed for life with its .950 platinum weight. 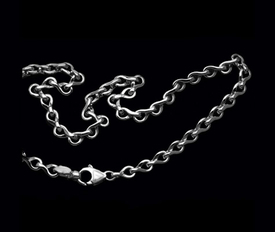 Fancy Link Platinum Chain – Create an elegant style in a durable 44.44 grams weight chain. Platinum Chain Square Design – This 8.5-inch, 42 gram bracelet adds instant glam to the simplest outfits. Ask a Gracious Rose Jewelry Consultant to help you customize your chosen platinum chain. Choosing jewelry for you or your loved one can be stressful. To reduce your stress, choose a jewelry store known for their impeccable knowledge of jewelry and style. If you’re looking for a personalized service then choose Gracious Rose. Exude glamour and sophistication with Gracious Rose’s collection of beautiful platinum chains. Ask our resident Jewelry Consultant for tips and advice on how to choose and customize the perfect jewelry to help you stand out from the crowd. All of these wonderful platinum chains are made from ethically sourced materials and handcrafted by experts. A great investment that lasts a lifetime.